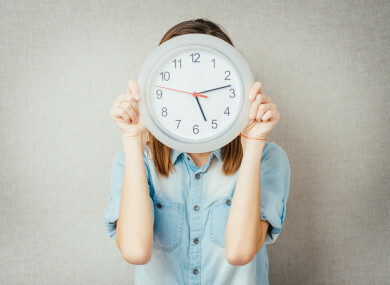 MESSING WITH YOUR body’s clock is dangerous business, in fact it could make you sick – or worse. The inner timekeeper dubbed the “circadian clock”, governs the day-night cycle that guides sleep and eating patterns, hormones and even body temperature. The trio identified genes that regulate the clock, and the mechanism by which light can synchronise it. Yet humans have a long history of overriding the circadian-driven need for sleep, Russell Foster, a professor of circadian neuroscience at Oxford University told AFP – the most obvious example being night work. Just look at the poor health records of shift workers such as nurses or factory labourers. The World Health Organization has already raised the red flag, with a 2007 report noting that “circadian disruption” is “probably carcinogenic” – which means cancer-causing. Like everyone else, shift workers’ biological clocks are set by the rising and setting of the Sun – not their work schedule. When workers force themselves to stay awake, it triggers the release of stress hormones such as cortisol – the same one that rushes into your blood in a life-or-death situation. In such a state, people can do “overly impulsive things – jump the red traffic light and fail to see the consequences of actions,” explained Foster. “Now we are moving to the exciting stage where we can start translating some of this knowledge into understanding what happens when these systems go wrong and more importantly to develop new therapeutic interventions,” Foster said. Email “Time out: Dangers of disrupting your body clock”. Feedback on “Time out: Dangers of disrupting your body clock”.